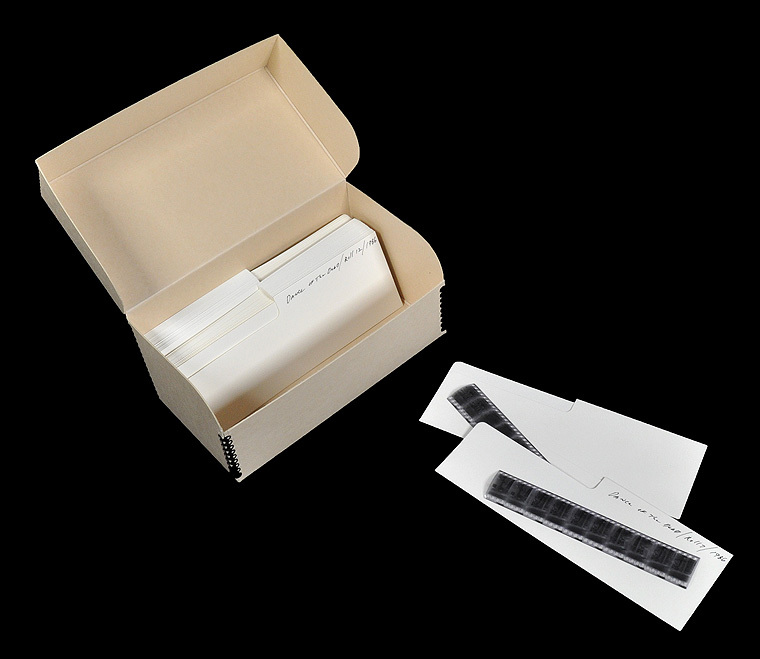 Our unique all-in-one Film Storage System kits will allow you to quickly transform your loose or disorganized collection of negatives & film into an easy-to-store / easy-to-retreive archive containing ALL your 35mm / 120mm / 4×5″ negatives & un-mounted transparencies! the PEACE-OF-MIND of knowing that your materials are ACCESSIBLE & ARCHIVALLY SAFE & SECURE. 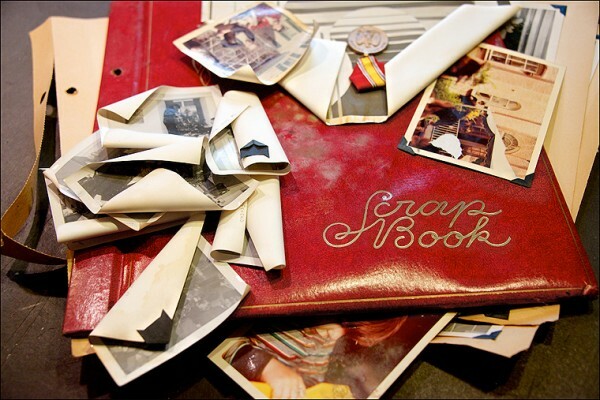 Many of us have zillions of negatives floating around—whether they be old family snapshot negatives or fine art photography negatives or transparencies—and organizing them may seem like an OVERWHELMING task at first. Yet that is EXACTLY why we have designed our Film Storage Systems: to simplify organization while archivally protecting your negative, film & transparency collections for generations to come, all while providing you with QUICK & EASY accessibility! Each all-in-one kit provides you with ALL the archival components you need to easily organize, preserve & store large quantities of film. 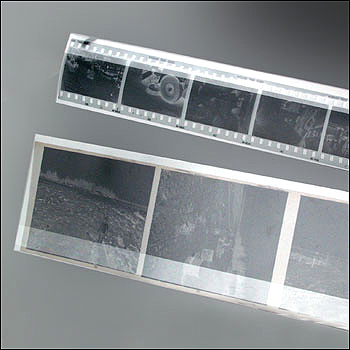 Museum-quality archival Polyester Sleeves for 4×5″ (left) and 35mm / 120mm negatives & transparencies (right). The difference between the available kits listed above involves the particular sleeves you choose. 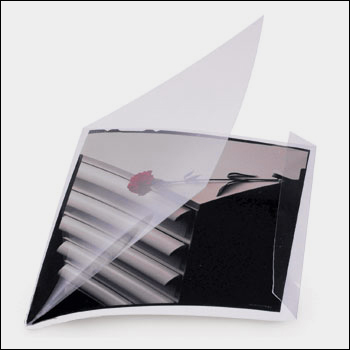 Well, our Polyester Sleeves (replacing the popular “Mylar” sleeves) are crystal clear and more rigid, making viewing and handling your film much easier while providing a high level of protection. They are slightly more expensive, but certainly worth the investment! Our Polypropylene Sleeves are just as archivally safe as Polyester Sleeves. The difference is that while a bit more economical they lack the optical clarity of Polyester Sleeves. So, if your negative files are accessed and used often, choose the Polyester Sleeves. If you are using our Film Storage Systems for long-term storage that requires less day-to-day access, our Polypropylene Sleeve kits are a perfectly good fit! • Each Polyester or Polypropylene Sleeve is designed to hold ONE strip of negatives to keep them safe and prevent both abrasion and other potential hazards associated with “ganging” a bunch of negatives together. In addition to long-term protection, this “one negative strip for each sleeve” approach also makes locating the particular negative you are looking for both easy & efficient. 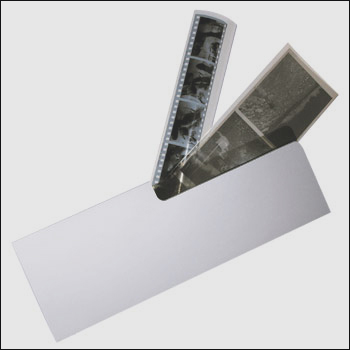 • Each Negative File Folder will hold a full roll of six 6-frame film strips in their individual sleeves. 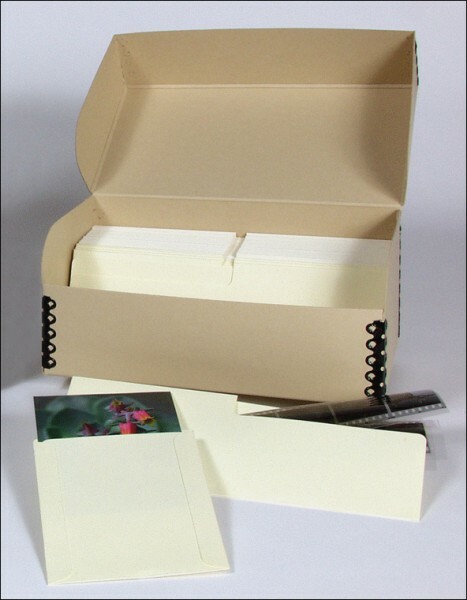 • Each Hinged Lid Box holds up to 50 Negative File Folders. information you’d like to help you identify & organize your individual negatives or whole rolls of film! What’s more, you can write all sorts of identification information right onto your Negative File Folders or 4×5″ acid-free Envelopes to make organization and retrieval a snap (see pix above). 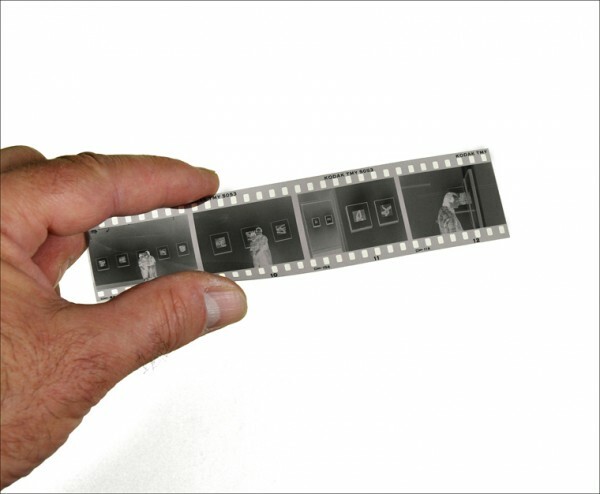 And your 35mm / 120mm / 4×5″ negatives & transparencies are “Sorted, Safe & Secure” (and accessible!) for years to come! Please click on any image to see our fully-illustrated “Horror Stories / Archival Disasters” blog. Yikes!!! 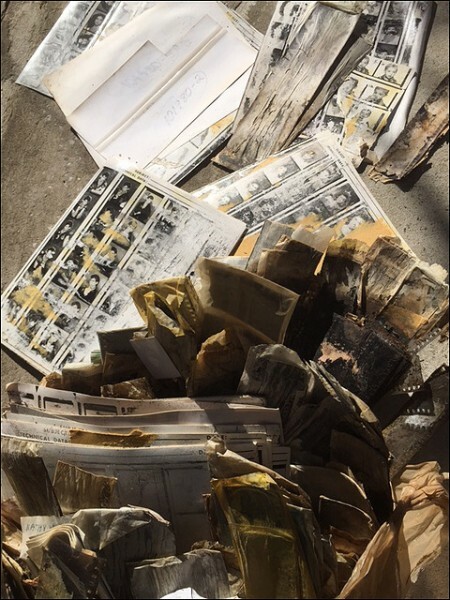 Lastly, as a word of caution, NEVER store your negatives / prints / genealogical records / artwork / family keepsakes / collectibles / or other valuable artifacts (either monetarily valuable or sentimentally valuable) in your attic or basement. 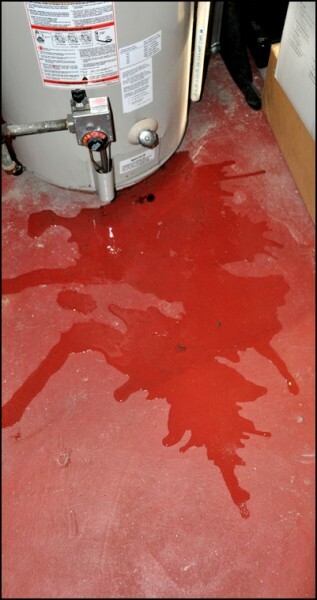 The wide temperature & humidity swings in both locations can be harmful to your collections, and attics are occasionally susceptible to leaky roofs while basements can be prone to flooding, leaky water pipes and leaky water heaters (see pix above). Instead, store your archivally protected materials in your “living space” such as a hallway or bedroom closet, or on a shelf in your living room or office, as the temperature & humidity fluctuations are significantly lower in these areas and they are much less likely to suffer water damage from leaky pipes or roofs. 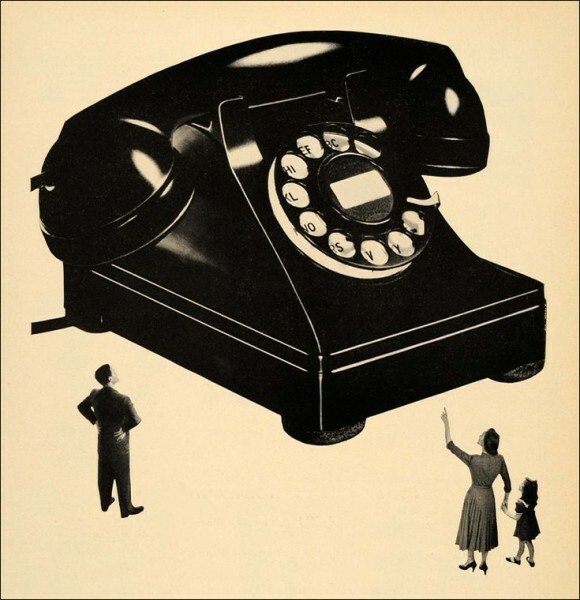 If you have any additional questions, or would you like more information on any of our museum-quality acid-free storage & presentation materials, please contact us here at Archival Methods. We’re always there to help with any archiving, storage, or presentation questions you may have. We would also like to encourage you to follow us on Twitter, Facebook, Pinterest, and our large selection of informative and crisply-illustrated (and often humorous!) blogs for up-to-the-minute information, Archival Solutions of the Week (take a look at this archive for more info! ), and stories of interest. Likewise, our exclusive short videos illustrate many of the archival products and procedures that you may wish to “see in action,” so please take a look!